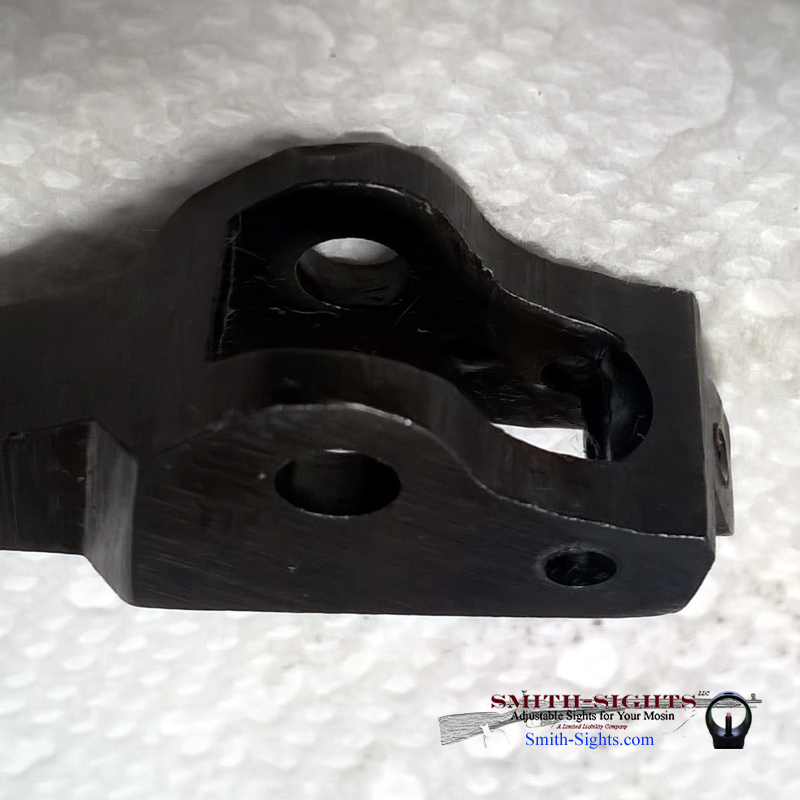 It is important that you, as buyer, analyze all operating parameters of your rifle before, during and after trigger installation. Due to the diversity of Mosin-Nagants throughout the years and the possibilities for installation error, the buyer, after considering the operating conditions and the rifle’s tolerances, is solely responsible for assuring that the application, installation, performance, safety and warning requirements are met. 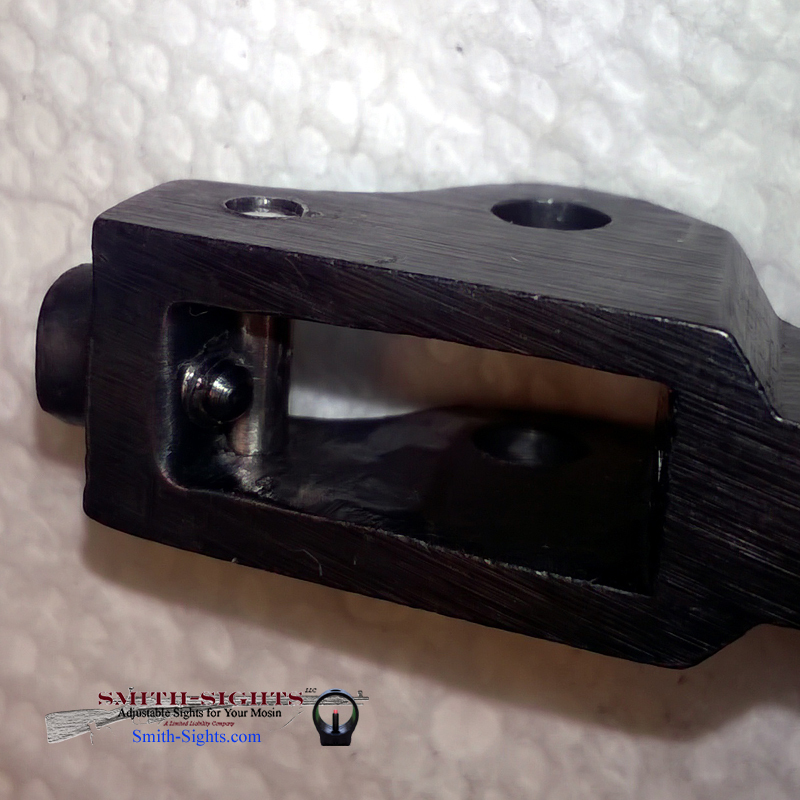 By proceeding to purchase, you acknowledge that you understand the above and will not hold Josh Smith or Smith-Sights LLC responsible for any damages resulting in improper installation or failure to assure safe functioning after installation. The Finnish recognized early a need for an improved trigger to allow their riflemen to take advantage of the improved precision of their rifles. Accordingly, they set in motion research ultimately culminating in the development of the M39's trigger. The M27 and M39 have the only true two-stage trigger pulls of any Mosin of which I'm aware. Others have pseudo-two-stage triggers in which the first stage is only spring-loaded pre-travel. In my research I've come up with what I consider the ultimate trigger setup so far as the Mosin-Nagant is concerned: It uses a hybrid combo M39-style two-pin setup with the rear pin having been replaced with a polished bushing. The front pin only bears on the sear at the moment it releases the sear from the hammer (cocking knob), so the front is an adjustable pin. 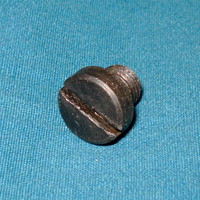 Combined with this is a heavier-duty slack spring than is commonly found, made from wire about as thick as that in pistol magazines. This I've taken from the M28 model. 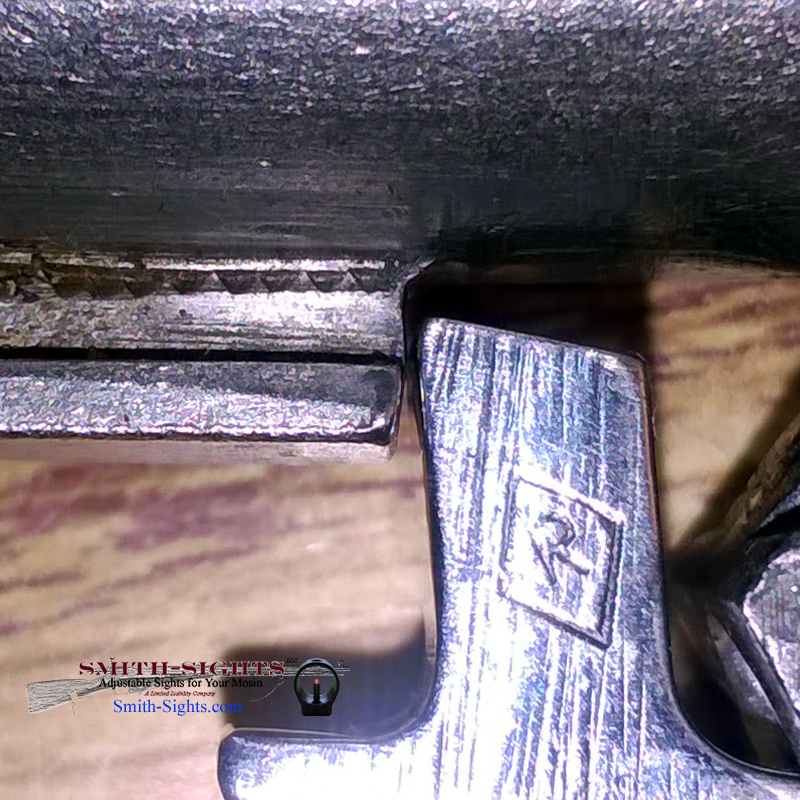 Its purpose in this setup is to provide a smooth pull, help retain the trigger pin to reduce slop, and to prevent sluggish trigger action and return. A fitted sear is provided with this kit and is modified after the Finnish fashion. The critical surfaces are polished to a mirror finish. 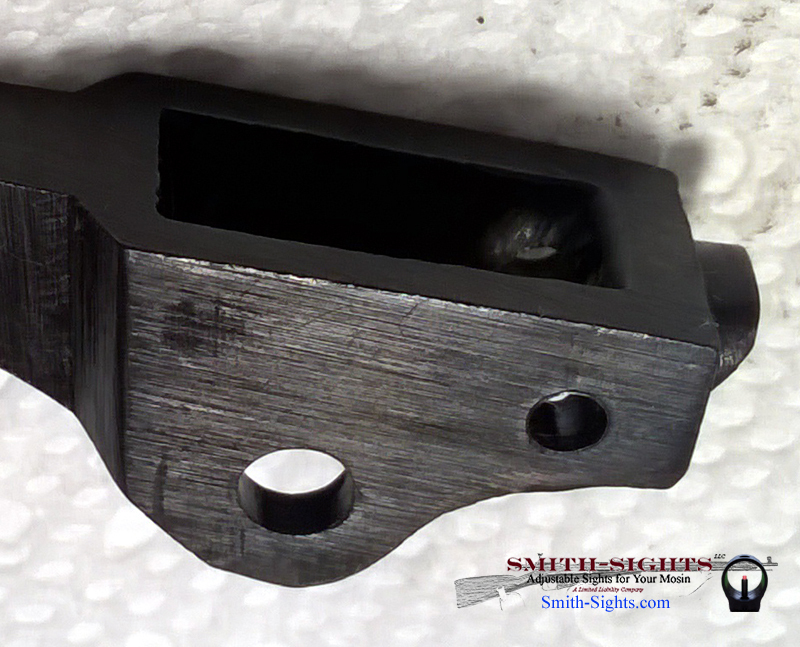 The price for the two stage trigger and sear combo with mousetrap spring is $90.00. Simply put, this is the best trigger set for your Mosin. 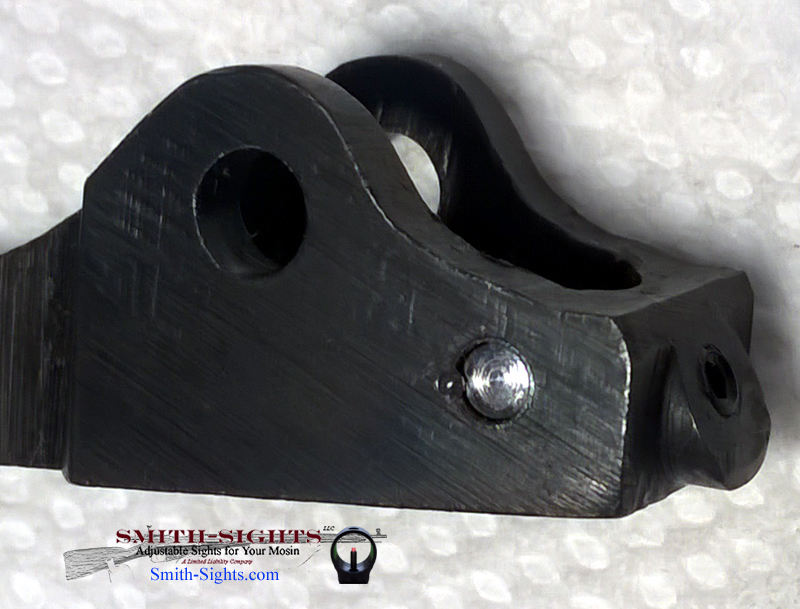 Some who own both even prefer the feel of this trigger to the Timney trigger, which requires inletting of the stock. My trigger is much less expensive, as well! The fitting is done for you. I use a 91/30 receiver to do this. However, as receivers varied over the years, you must be prepared to deal with any mismatches. The end user must be able to deal with either of these issues with email support, or have a gunsmith who is willing to talk with me. This trigger is not, nor will it become, a focal point of my business. Sights and shims remain my main focus. 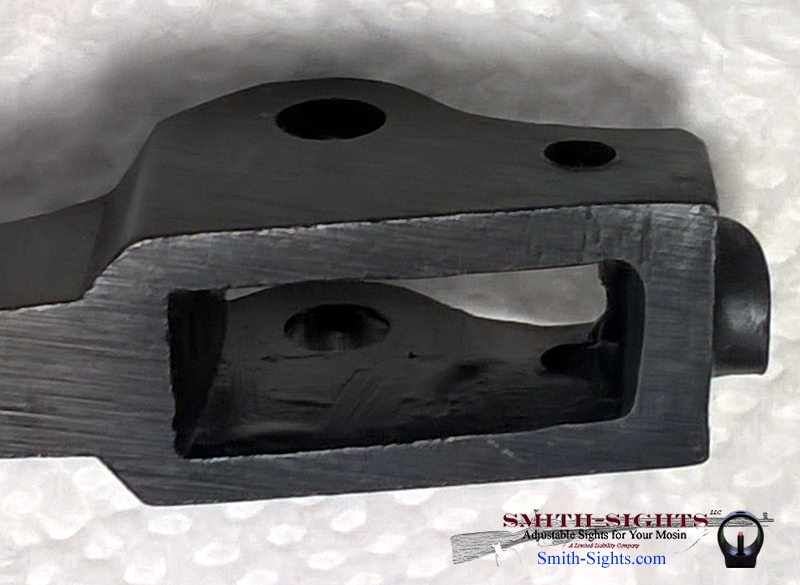 The trigger exists to allow you to take full advantage of the sights' and shims' enhanced precision. I produce about one trigger set per week. This is done while I'm waiting for various chemical or physical reactions to take place on the sights. For example, I might get some time during initial heat treatment of the sights, and during hot bluing as that takes some time also. Production will not be sped up. If I have triggers available, I will let you know when you write to me. I generally post here and on the front page as to when the next trigger will be done. Additionally, rushing trigger groups is just flat dangerous and I refuse to be party to the epidemic infecting some trigger makers just to meet some quota. I will not sacrifice safety for speed. This is not your standard "online shopping experience." If you want a trigger, please contact me using the form below. I may want to talk to you before selling you a trigger set to assess your skill level. If you are unable to install the trigger, I will sell the trigger to you, through your gunsmith. Most people can do this themselves as it is generally a drop-in replacement. Safety checks must be done, but it's not hard. Please note that the color of the sear you receive may be different than those in the pictures here. I have read and agree to the disclaimers. The next two-stage triggers will be available between April 30 and May 10, 2019. Only THREE (3) remain. I would like to reserve mine. I have experience disassembling my Mosin. If I do not, I will have my gunsmith contact you. request to purchase. PLEASE BILL ME. IMPROPER SELECTION, IMPROPER USE, AND/OR IMPROPER INSTALLATION, MAY CAUSE DEATH, PERSONAL INJURY AND PROPERTY DAMAGE. It is important that you, as buyer, analyze all operating parameters of your rifle before, during and after trigger installation. 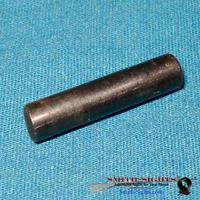 Due to the diversity of Mosin-Nagants throughout the years and the possibilities for installation error, the buyer, after considering the operating conditions and the rifle’s tolerances, is solely responsible for assuring that the application, installation, performance, safety and warning requirements are met. 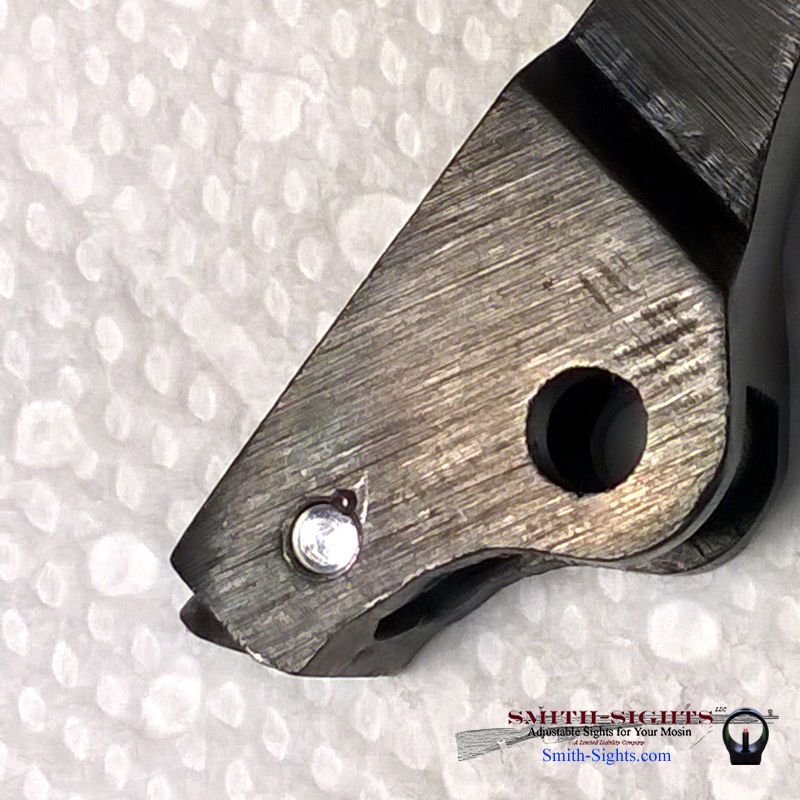 You, the buyer, will at no time hold Josh Smith and/or Smith-Sights LLC liable for improper installation and/or failure to check safe functioning after installation. Price includes shipping. No trigger purchase necessary.